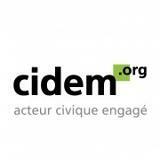 CIDEM, Association Civisme et démocratie, has as its main goal to promote civic engagement. CIDEM’s aim is to approach those who want to engage to improve living standards, as well as good citizenship, on a day-to-day basis, in their neighborhoods, their schools or municipalities, regardless of their age, origin, beliefs or identity. CIDEM wants to inform more citizens, to engage them, and to develop their civic conscience. This in order to contribute to a more humane, more accesible and more acountable society.